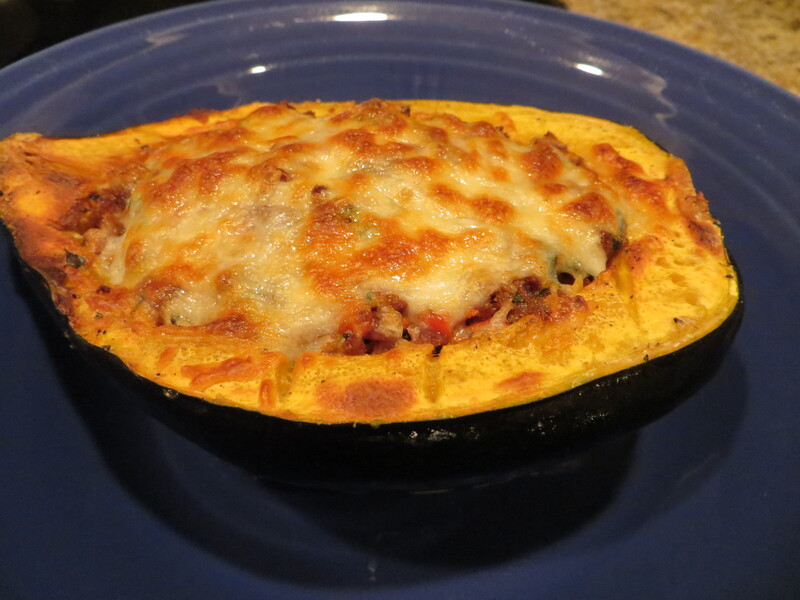 A savory stuffed squash is a great dinner on a cold night. Skip the sweet version of acorn squash with butter, cinnamon and brown sugar and go for a spicy kick by using chorizo. This is a no-fuss recipe I created after craving a stuffed acorn squash. The nutty sweet flavors of the squash explode with the combination of chorizo, which is Spanish sausage that can be purchased at most grocery stores. Squash is high in fiber, vitamin C and potassium. Buy one squash and you can enjoy one half for dinner and the other one you can warm up for lunch. 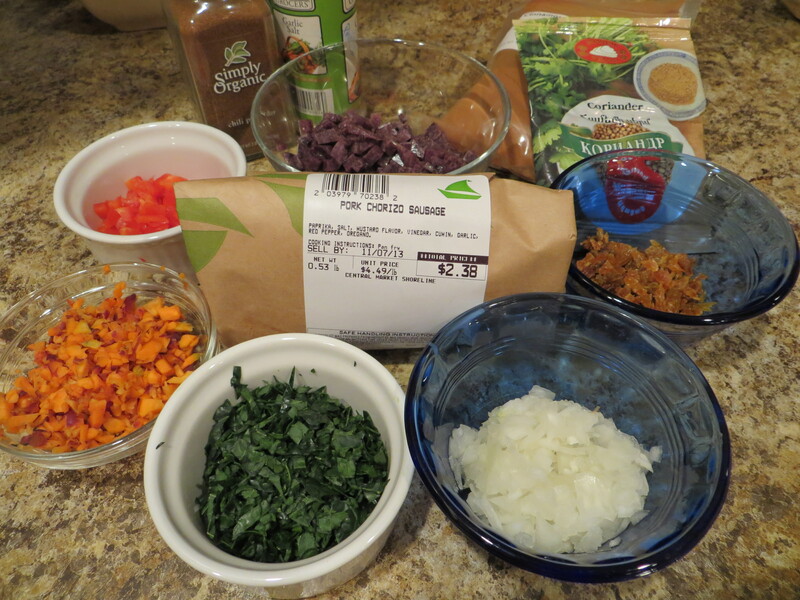 This is also a great recipe if you are having a friend over for dinner. 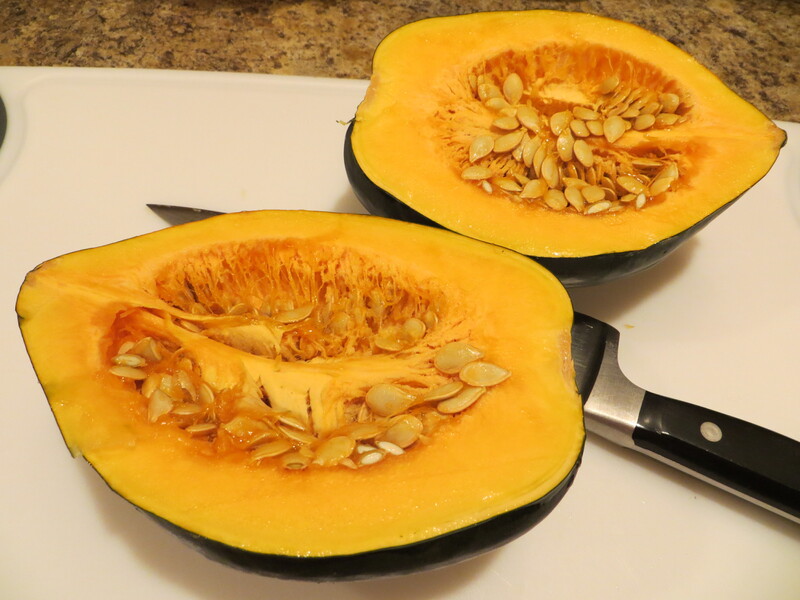 Preheat oven to 350 degrees while you cut the acorn squash in half lengthwise and clean out the inside seeds and mush with a spoon. Score each half with a knife, by lightly cutting vertically and horizontally on the inside. Brush olive oil all over the insides of both halves and then salt and pepper them liberally. Cook for 30 minutes, while you finely chop all the ingredients for the stuffing. Sauté on medium heat the onion, pepper and chorizo for five minutes until tender and add potatoes, kale and golden raisins and cook for another five minutes. 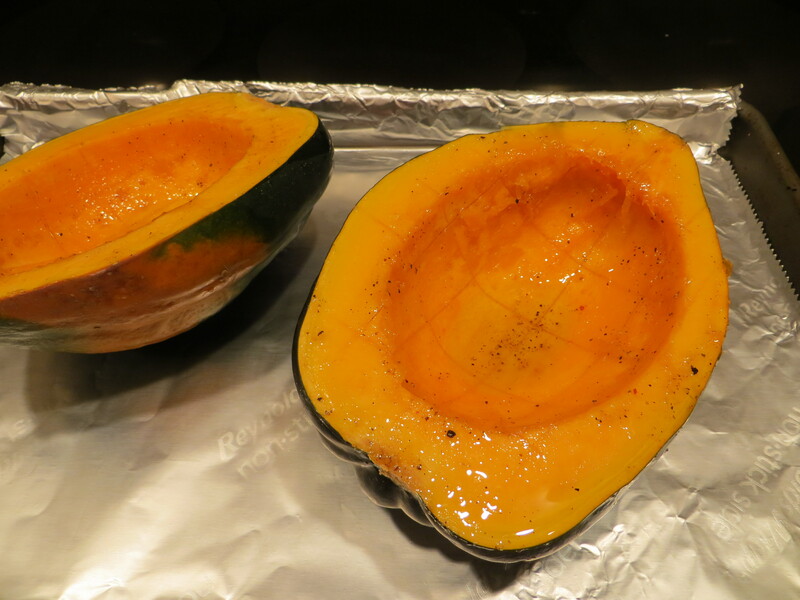 Stuff each half of squash with the mixture and cook for another 30 minutes. Sprinkle mozzarella on each half and broil at 500 degrees for two minutes or until light brown. 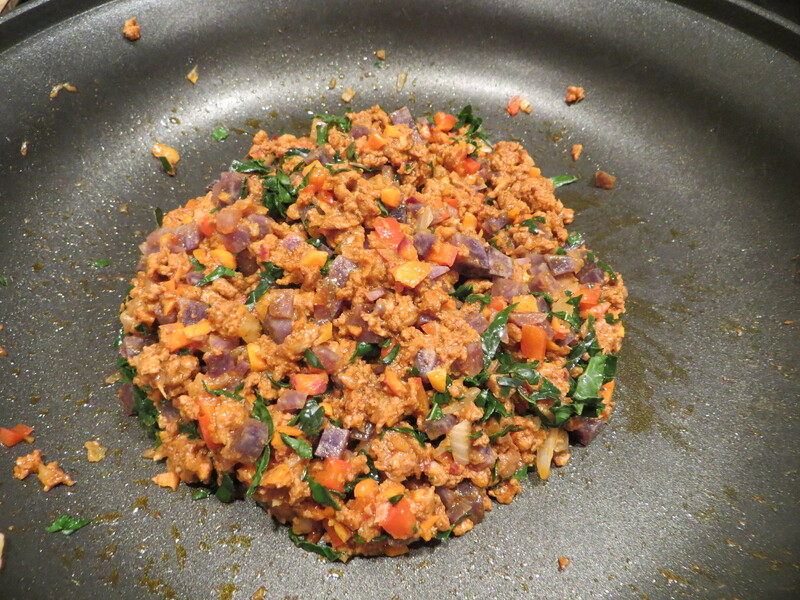 Posted in Recipes and tagged chorizo, dinner, gluten-free, kale, squash, stuffed. Bookmark the permalink. Looks delicious! I love Acorn Squash. This looks like a great new way to serve. Thanks.